Why focus on Personality when Recruiting? Home » Why focus on Personality when Recruiting? 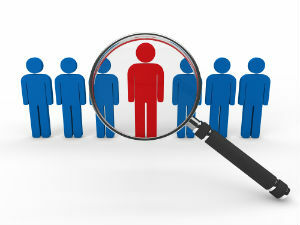 » Blog » Why focus on Personality when Recruiting? While recruiting, it is important to focus on the personality of candidates, as it affects the work culture of an organization. Having the right mix of people is especially important in a small business, where people often must interact more closely than they might in a larger organization. While recruiting, it is crucial for small business owners to pay attention to finding the right match for the particular job and the work culture of organization because they feel the impact of employee behavior — both good and bad — more acutely than larger companies. One bad apple can have a much greater impact on morale and work culture in a small business than in a large one and, conversely, a good employee’s attitude and work ethic can be infectious. Personality is the typical way in which a person responds to situations or a person’s preferred way of behaving in particular situations. Your personality affects your success in the role. Skills can be taught, personality is forever. While employees must have the necessary skills to do their job, skills alone don’t make them great employees. No matter what the business or the job, there are some personality traits that every organization look for in candidates during recruitments. New research shows that the vast majority of employers (88%) are looking for a “cultural fit” over skills in their next hire as more and more companies focus on attrition rates. Personality affects all aspects of a person’s performance, even how he reacts to situations on the job. So it’s important to recognize personality traits and pair employees with the duties that fit their personalities the best. This can lead to increased productivity and job satisfaction, helping your business function more efficiently. Even if the skills aren’t very impressive, but the candidate has the right attitude, the employer can polish such diamonds in the rough. Remember, an employee can be trained on a product or service, but they cannot be trained to have integrity, resiliency, self-confidence and work ethic. The small the business, the more crucial any hire is. While recruiting, one can be flexible on the background requirements, but not on the personality traits. Personality transforms abilities into achievements. If you’re a recruiting manager, which other personality traits do you favor in employees or potential hires?